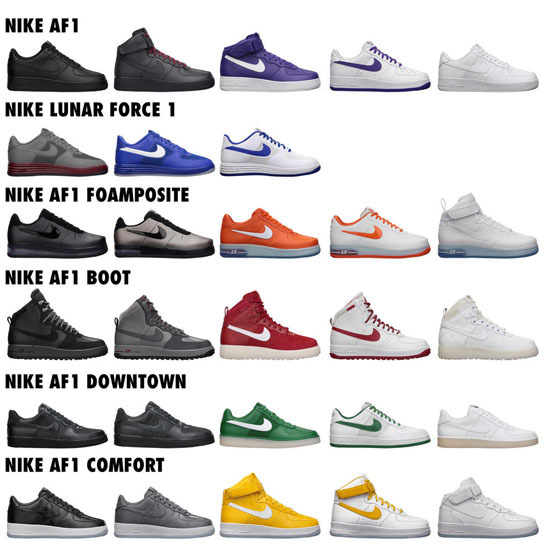 Nike is continuing to celebrate the 30th Anniversary of the Air Force 1. Releasing this weekend is "The Family Of Force" 30th Anniversary Collection. 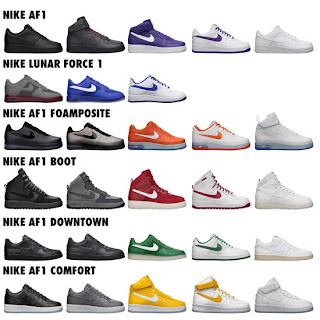 A total of twenty-eight pairs of Nike Air Force 1s are set to release in this "The Family Of Force" collection. They are broken down into six packs. A "Downtown" Leather collection, a Lunar collection, a Duckboot collection, a CMFT collection, a Foamposite collection and an LE collection. A total of thirteen different styles and cuts, everything from High's, Mid's and Low's. All pairs will be limited available at select Nike accounts on Saturday, December 15th. If you're interested in any of these pairs, please check with your local Nike account to see if they will be receiving any of these pairs. Check out the main image below and, if you want more information on a certain style or colorway, check out the Release Dates section here as I have them all listed individually.